Our trip to Genoa wasn't too straightforward if I'm honest. 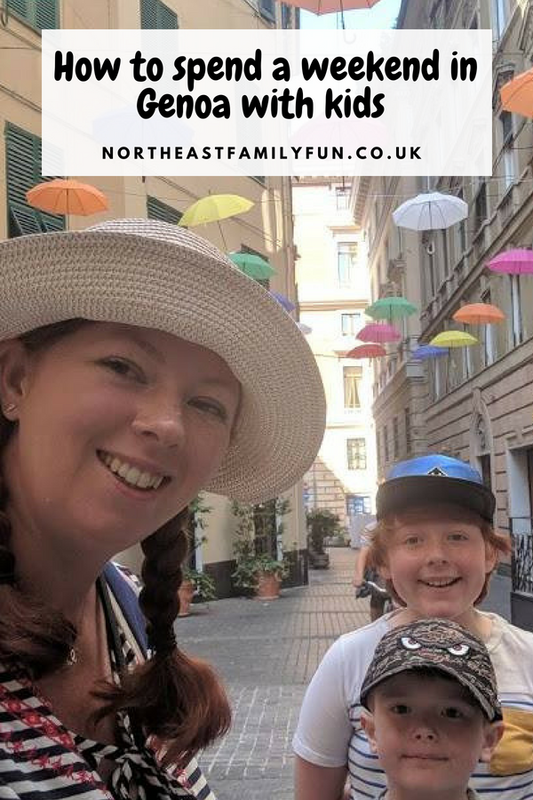 Our initial flight was cancelled at the last minute so we ended up being squeezed onto a few flights and travelling from Newcastle to Paris to Rome to Genoa, all with different airlines. We could have waited a day for a more straightforward route but we kind of needed to arrive in Genoa on Friday. In the end, taking multiple flights actually worked out a lot better than I thought. I'd never taken an interconnecting flight before and its nowhere near as stressful as I'd built it up to be in my head. Very happy about our final flight of the day! 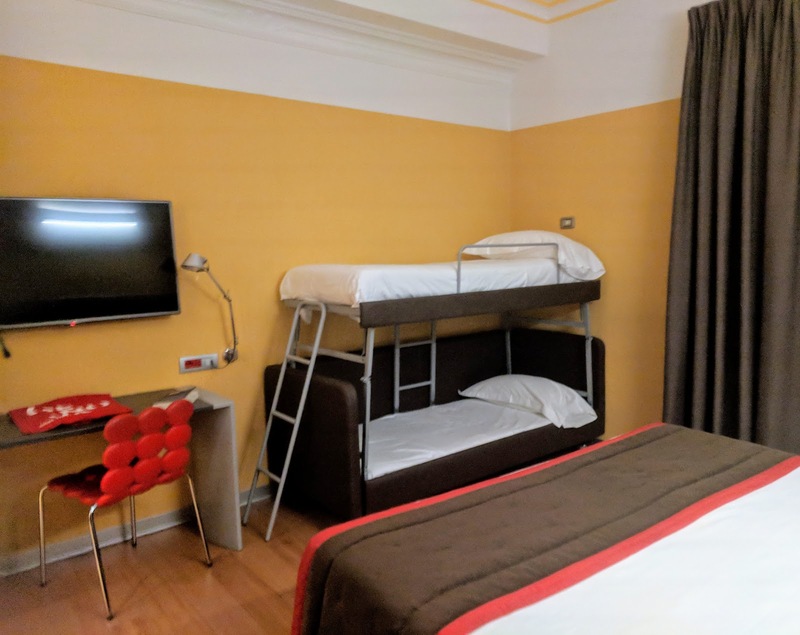 We stayed in the Best Western City Plus, Genoa. I did not have high hopes for the accommodation as the name Best Western just does not say quality to me. However, I was proven wrong and after a little research I found out that this hotel is actually listed as a top 10 hotel in the whole of the city on Tripadvisor and I can see why (also - how cute are these umbrellas which are here as part of a festival in the city and right outside of our hotel door). 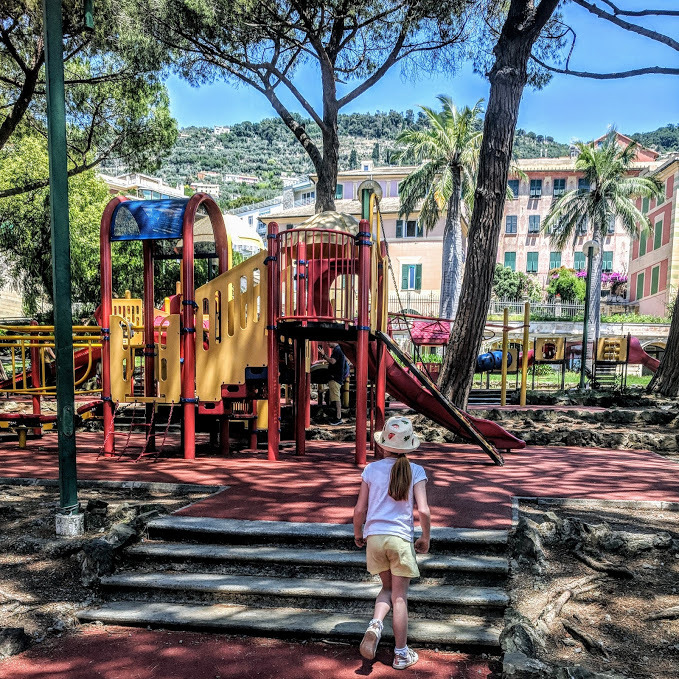 The location of this hotel is just perfect for families - just a 60-second stroll from the main square where you'll find the famous fountains, a theatre, metro station, restaurants (*cough cough including McDonalds) and shops yet its hidden in its own mini plaza so it feels quiet and tucked away. We really appreciated the power shower, free WiFi, well-stocked mini bar and comfortable beds. The staff were all super welcoming and were able to understand my Geordie accent without any problems. Breakfast was a family affair with colouring sheets and crayons available for the kids (and newspapers for the grown-ups) plus a huge selection of buffet items to choose from including pancakes and syrup, croissants, meats and cheeses, cereal, breads, pastries, fruits, yoghurts and more. There is a proper coffee machine in the breakfast room where guests can help themselves to a hot drink free of charge, 24 hours per day. There are tea and coffee making facilities in the rooms too but it was great being able to quickly grab a cup of real Italian coffee on the way back to our room after a day exploring without having to faff around with a kettle in your room. There's also a wellness suite in the basement (suitable for ages 16+) and if I'd have travelled with another adult, I'd definitely have escaped to the spa and sauna for a short while each evening. 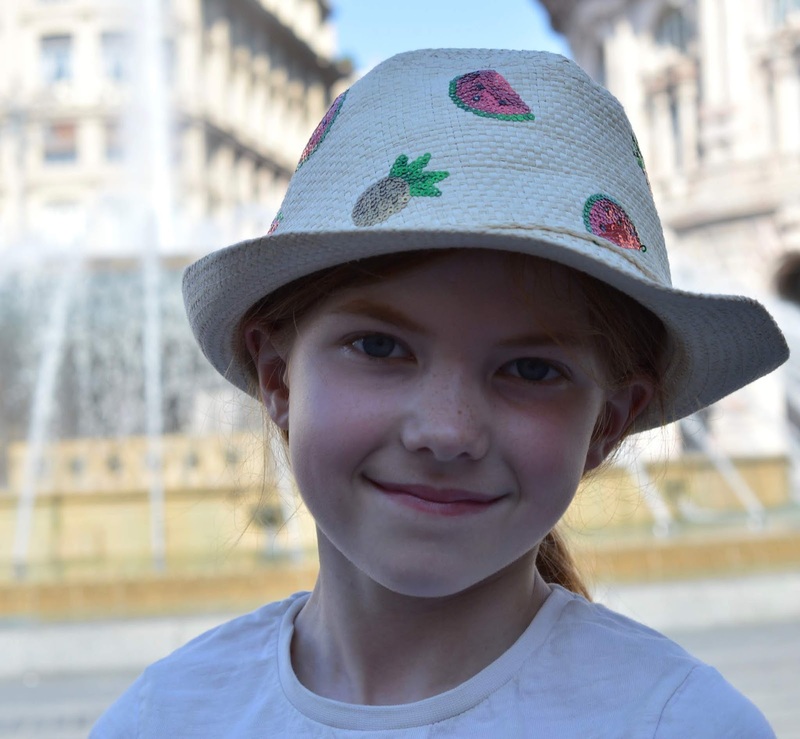 We loved the little Gelato shop around the corner from the hotel where 3 ice creams and a bottle of water set us back just 6 euros - I honestly expected the prices to be a lot higher than this and was pleasantly surprised. There were lots of little coffee shops, pastry shops and hidden gems like this in the immediate vicinity. On day one, I'd highly recommend spending 30 minutes or so just walking around on foot. The historic centre and port are very close (a 10-minute walk) to each other and the architecture is absolutely stunning everywhere you look. 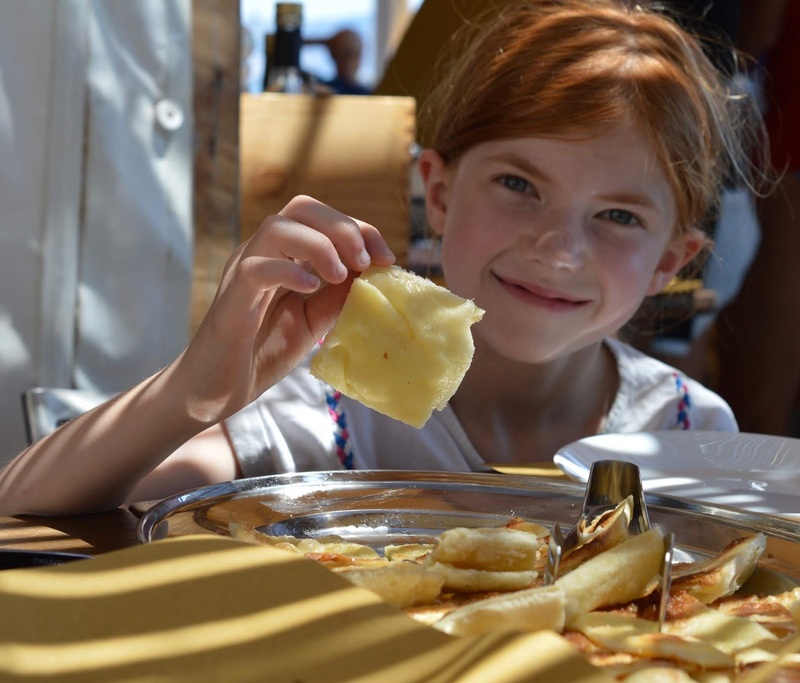 Take time to absorb the atmosphere - observe the street artists, admire the stylish Italian ladies drinking Espresso Martinis in the bars, browse the market stalls and listen to the buskers. 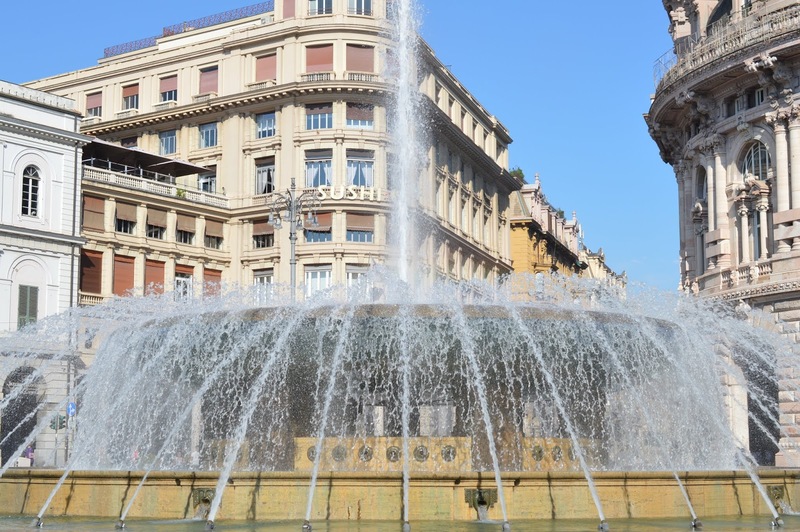 Genoa is everything I expected from an Italian city and more. 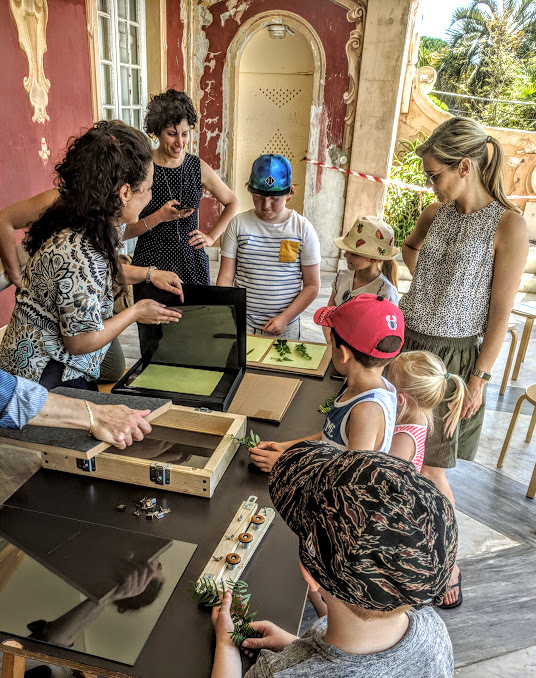 If you'd like to explore with children, you can purchase a fun city treasure hunt for 12 euros which will take you around medieval streets, into historic workshops and really give you a feel for the place. 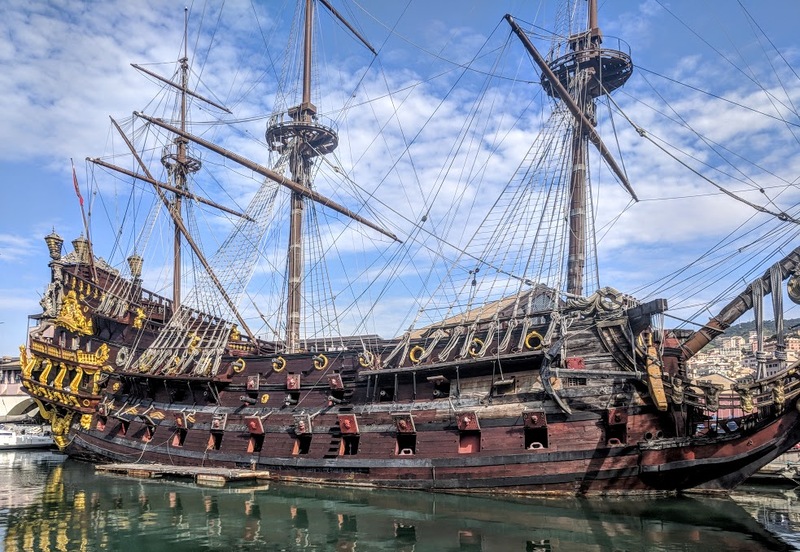 This real pirate ship replica from the movie Pirates was once the most expensive movie prop of its time. 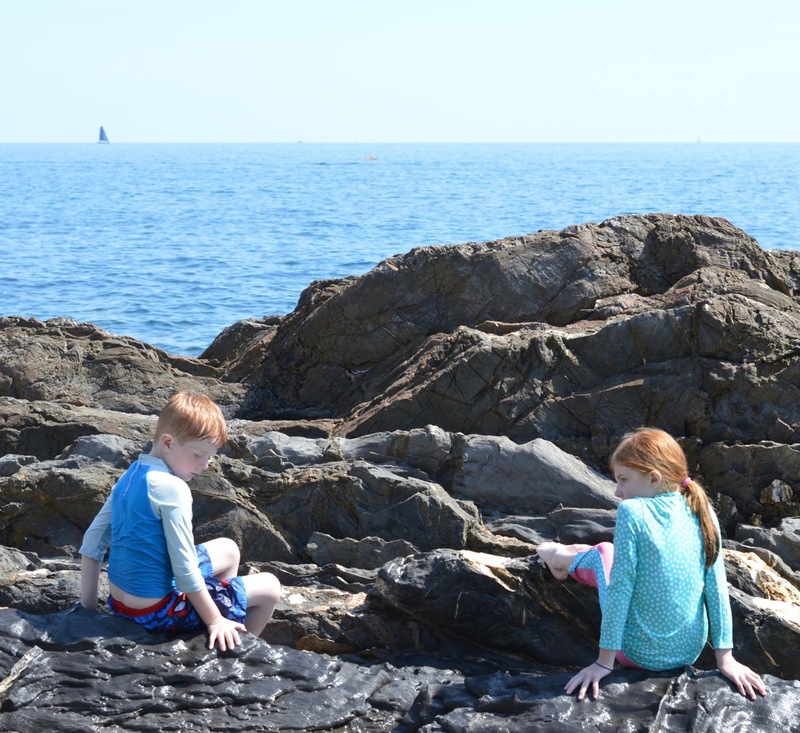 I loved watching children dressed as pirates excitedly climb aboard to explore. 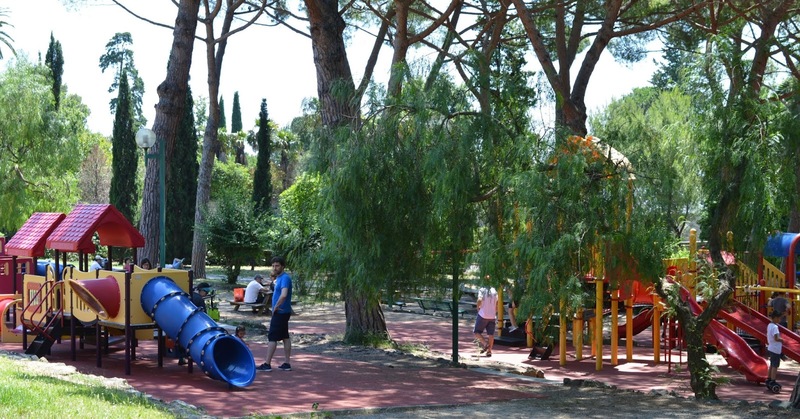 The port is lined with mini play parks and fairground rides to keep little ones entertained. You'll never have to walk far before they're asking for a park break. 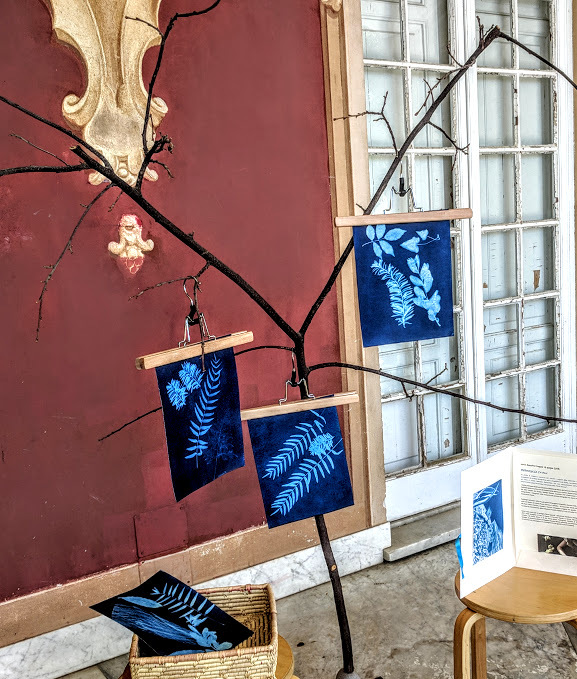 Most are free, but some require a small fee (like this one) to enter. 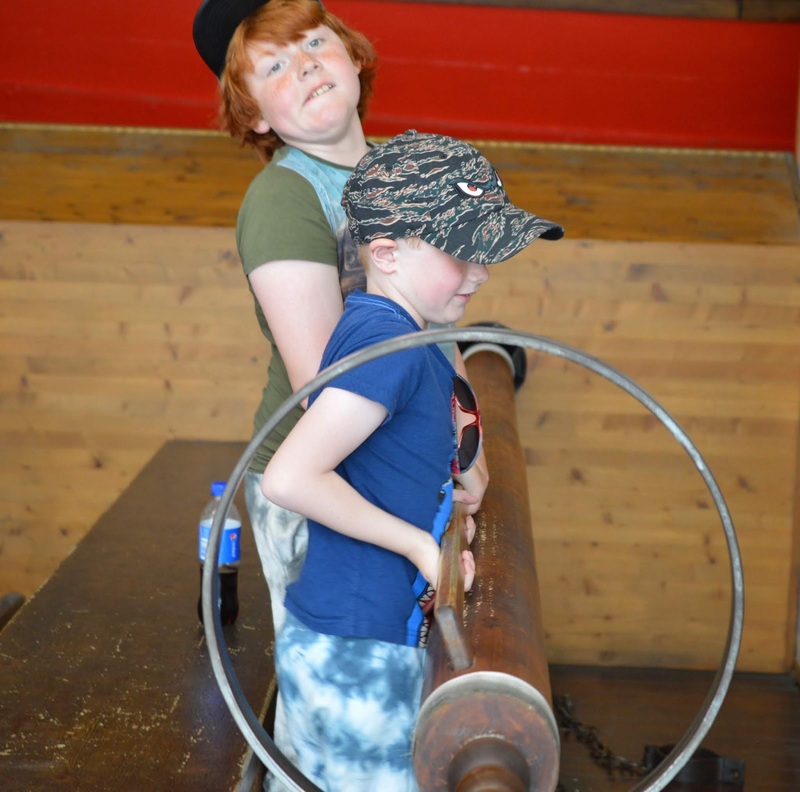 The museum of the sea is a must-visit attraction for any budding sailors. It's very hands-on with the chance to row your own 15th-century board, enjoy a stormy VR experience and admire replica ships and boats. 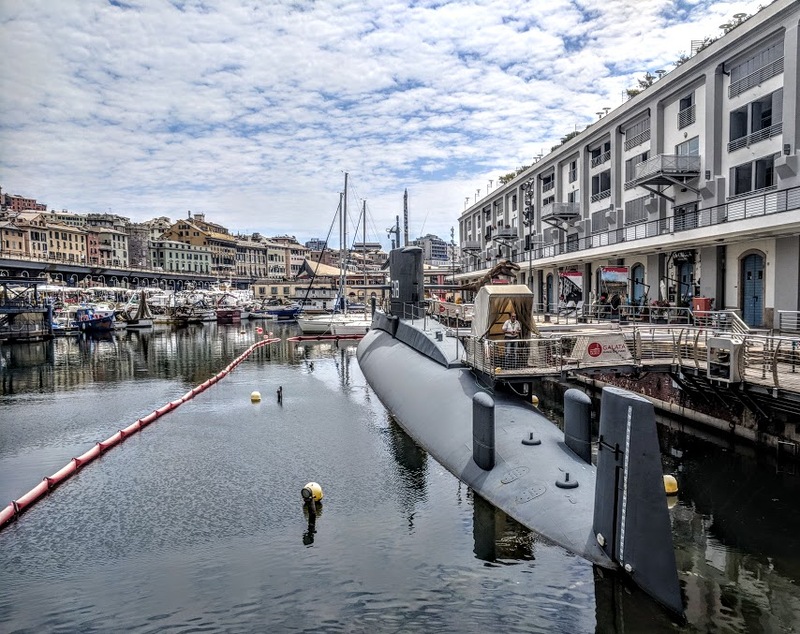 If you'd like to try something a little different, there's a chance to take a tour around a real submarine docked outside of the museum. This submarine was active during the cold war and it's eye-opening to look inside. Space on board really is tight and I don't think a life at sea would be for me! 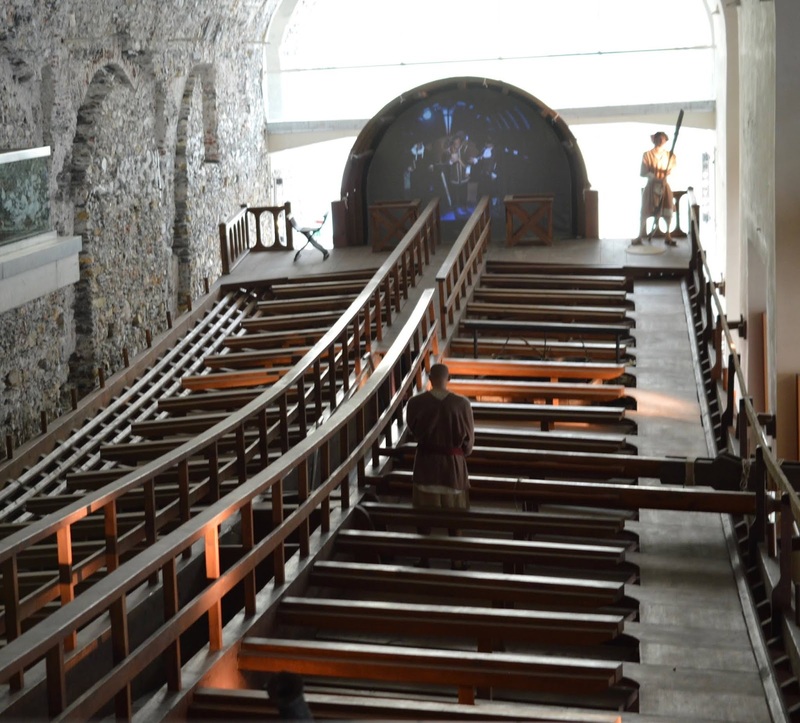 This part of the tour was super interesting and really brought some of Europe's recent history to life. 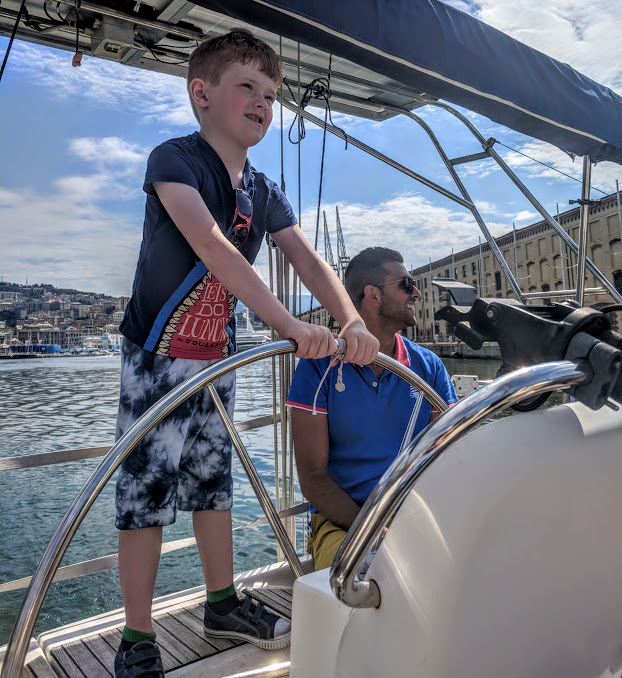 You can hire a boat (with captain and crew) from the museum of the sea and they will provide you with basic sailing lessons on this 2-3 hour trip around the harbour and out to sea. 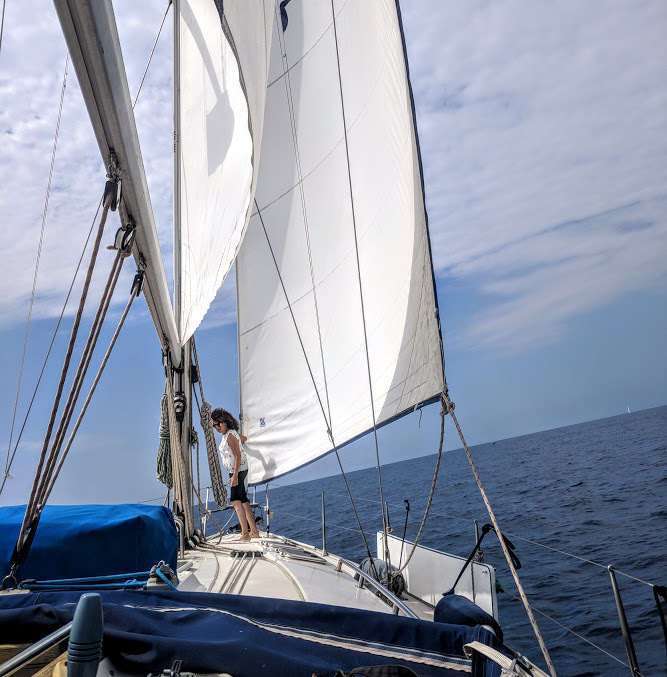 The views of Genoa are absolutely stunning and when they switch the engines off and raise the sails, it is so peaceful, tranquil and relaxing and bobbing around the sea on our own private yacht was definitely one of the most memorable moments of our trip. 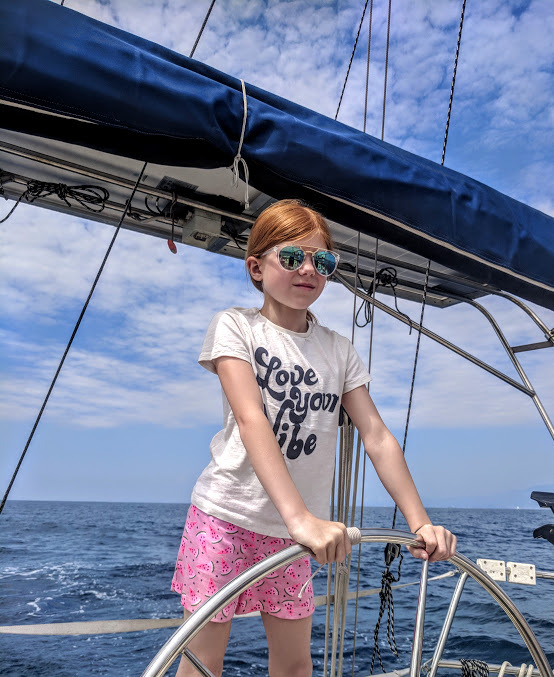 Children can even steer the boat and help to raise the sails which my three absolutely loved. It's worth noting that life jackets are not provided on this trip but I did feel safe as there was always two adults sitting next to 'the captain'. If you're not keen on this but still fancy trying your hand at sailing, I'd recommend taking your own life vest with you. 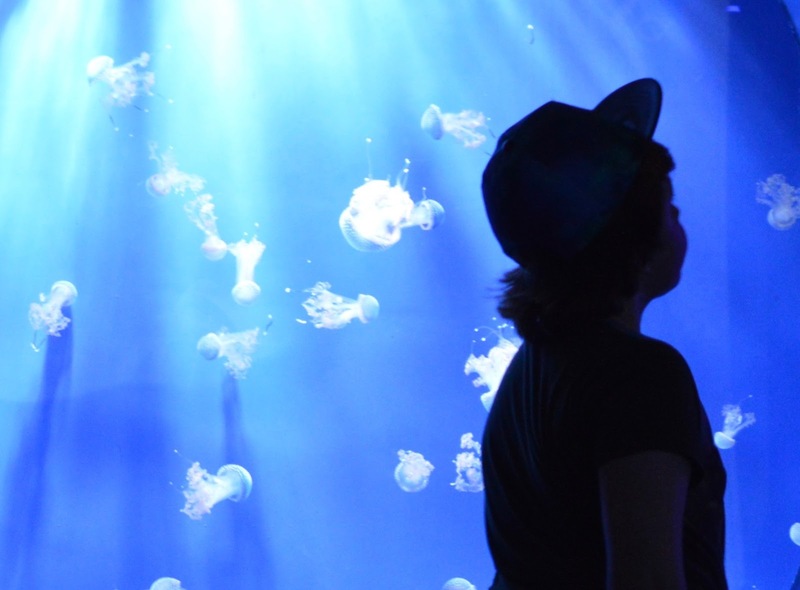 The aquarium at Genoa is absolutely huge and spread out over a few floors. We were taken on a behind-the-scenes tour which can be pre-booked and is highly recommended. 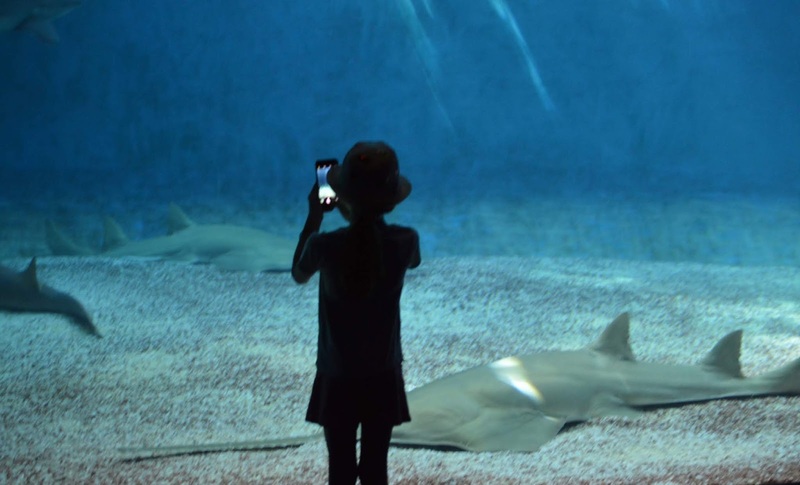 I've done this kind of thing a couple of times before and can hand on heart say that this aquarium is definitely one of the best - you know this when there are no restrictions on taking photos 'behind the scenes'. Our guide took us outside onto a private viewing platform to watch the dolphins interact with their trainers. 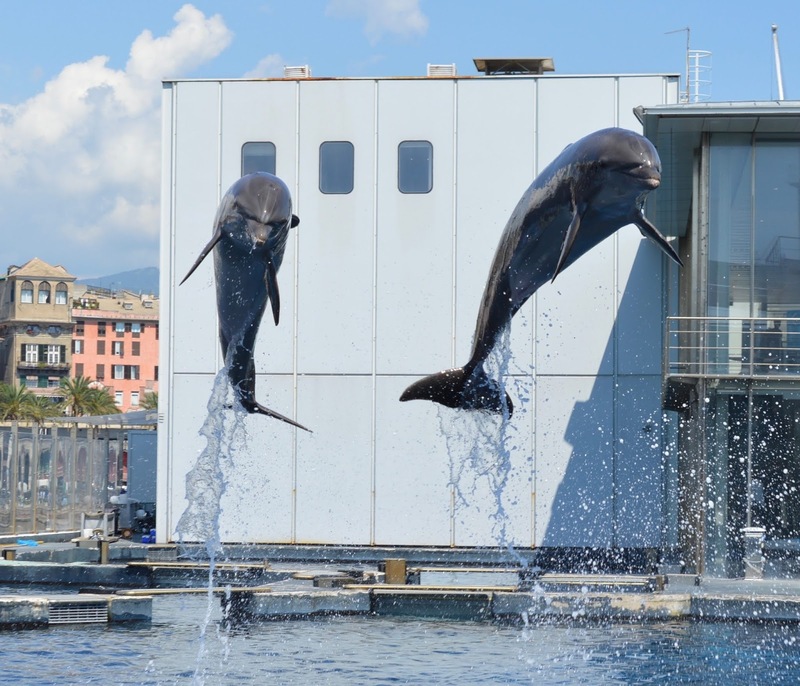 All but one of the dolphins here have been rescued from other aquariums and zoos in Italy which no longer meet the required legislation (the other dolphin is now 38 years old). 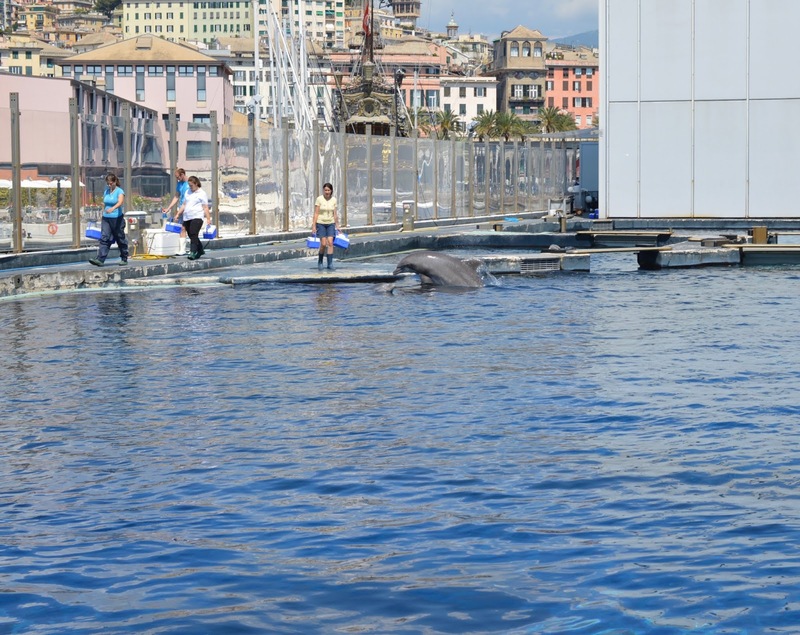 There aren't any public performances but there are plenty of opportunities to watch the dolphins interact with one another. 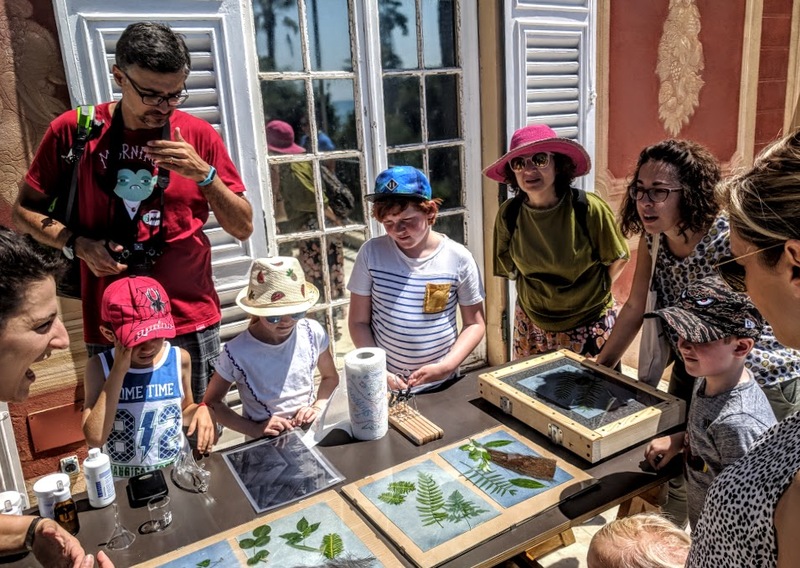 We also learned about a programme designed to increase Italian terrapin numbers in the wild (they are currently endangered) and were given a quick lesson on how Jellyfish are formed. All good and interesting stuff! 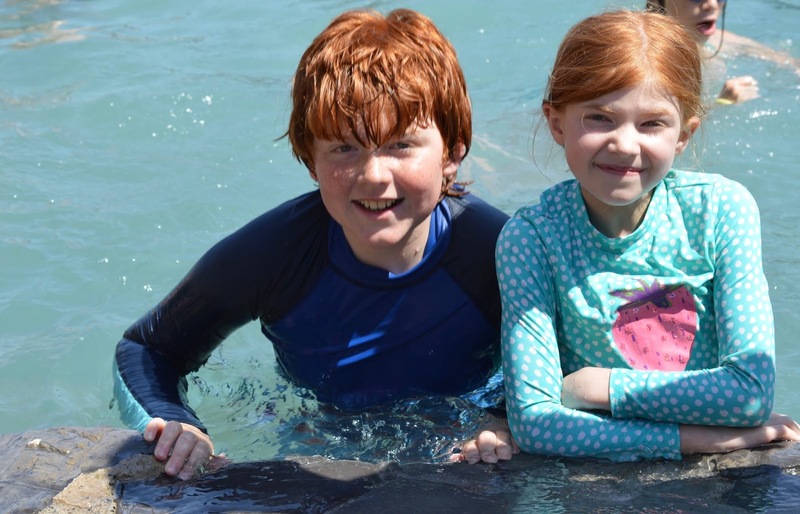 After our guided tour we had free time to explore and spent a good few hours meeting manatees, seals, penguins, fish, stingray, sharks and more. 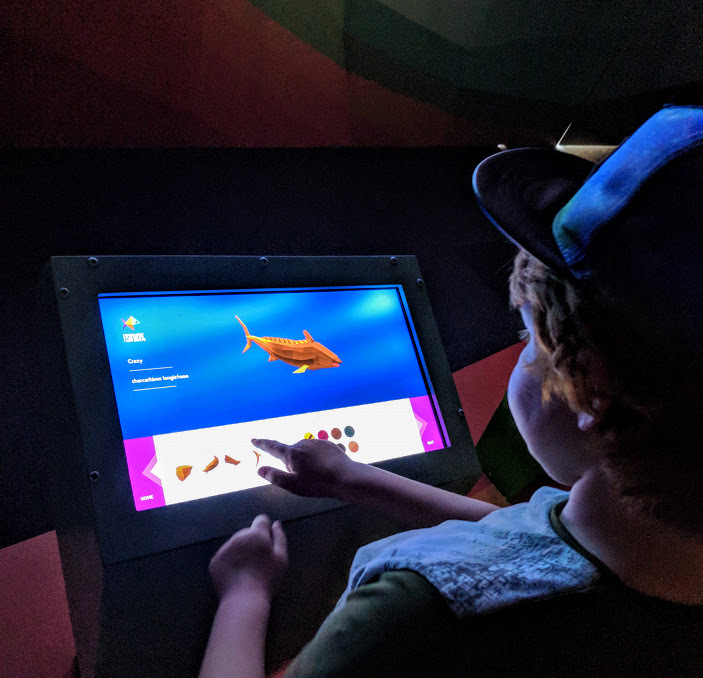 The kids loved playing a special digital game where you could design your own fish, let it out into the wild and watch it in the giant digital aquarium to see if it survived and then learn the reasons why. I love the fun and educational aspect of this! Jack beat us all and designed a fish with a 78% chance of survival! 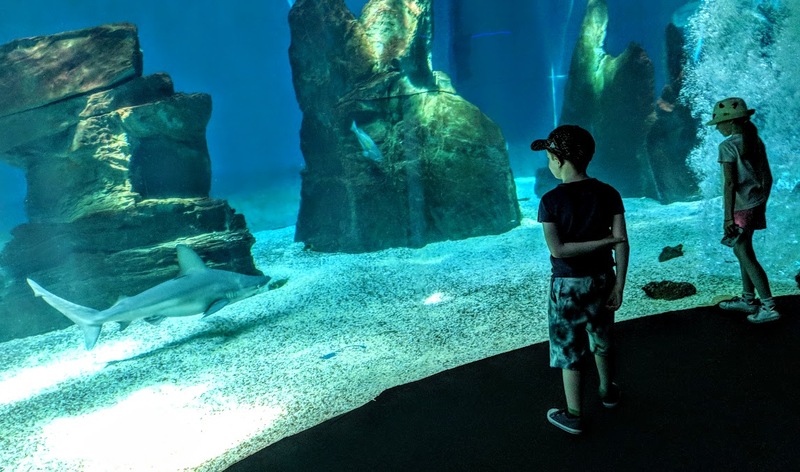 If you do visit Genoa with kids, I would say the aquarium has to be on your list. 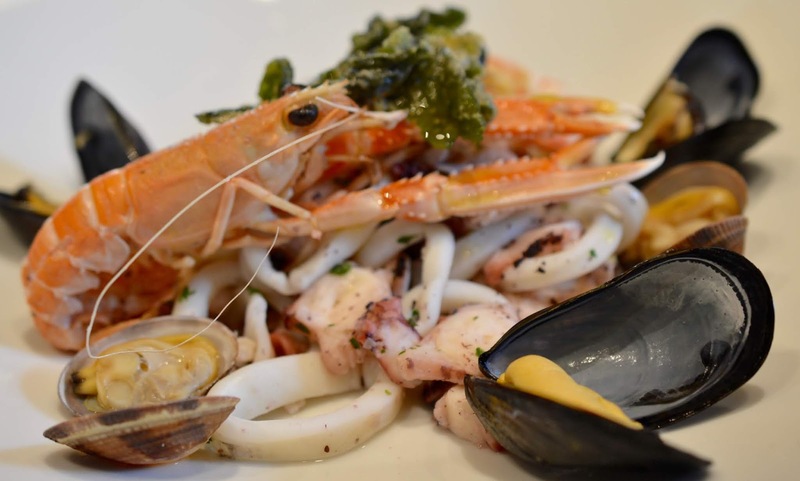 The port is lined with restaurants serving pizza, pasta and the freshest seafood. There's lots of outdoor shaded seating and we dined at a restaurant adjacent to a play park (the name escapes me but if you walk along the port away from the aquarium and museum of the sea you'll find it) and it was nice to let the children play whilst we enjoyed an extended lunch. I highly recommend this seafood salad to start - the octopus was divine. 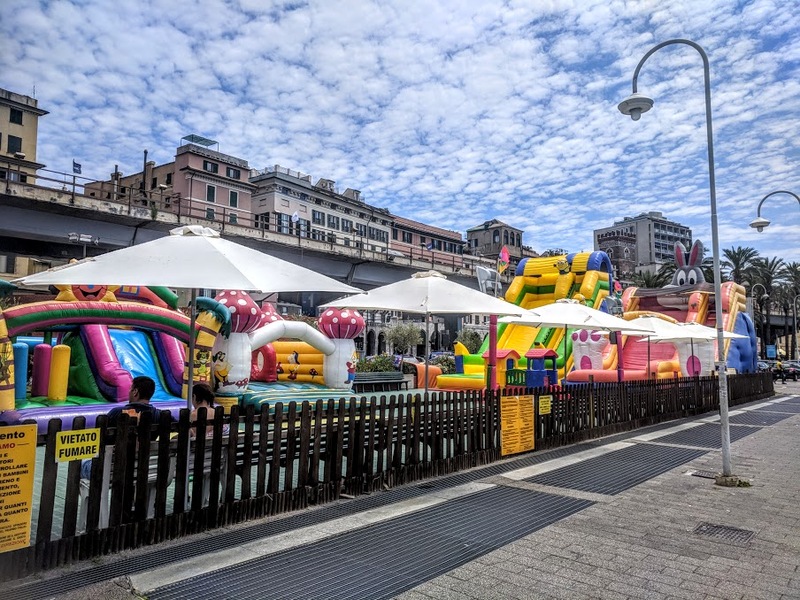 If you want to see more of Genoa but your little ones aren't able to walk for a long time, a mini train leaves from outside the aquarium on a regular basis. 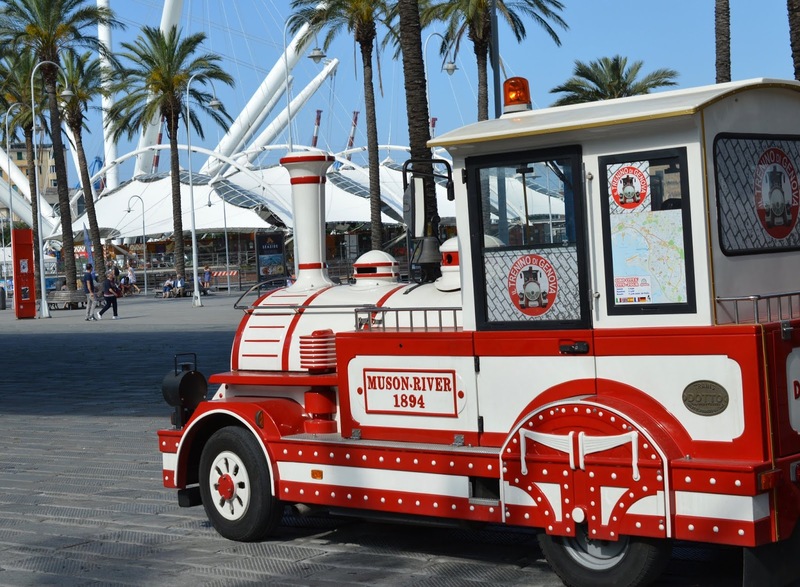 The train will provide you with a mini-tour of the city with an audio guide and only costs a couple of euros. On day two I'd recommend escaping the historic centre and experience a holiday Italian Style. 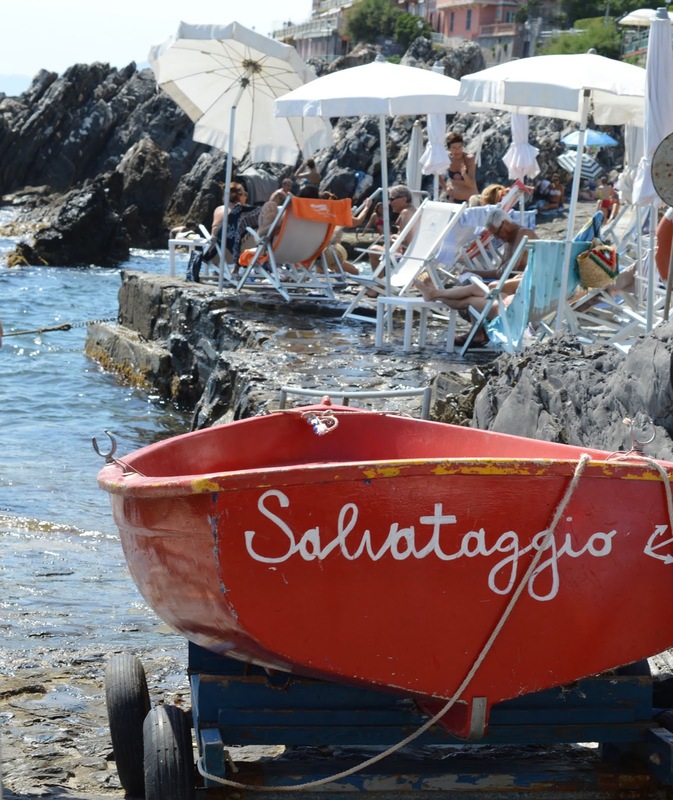 Nervi definitely had the same vibe as our much-loved Calella de Palafrugell in Spain. It's where the locals head for some R&R, is authentic and there wasn't a single English tourist in sight (apart from us of course). 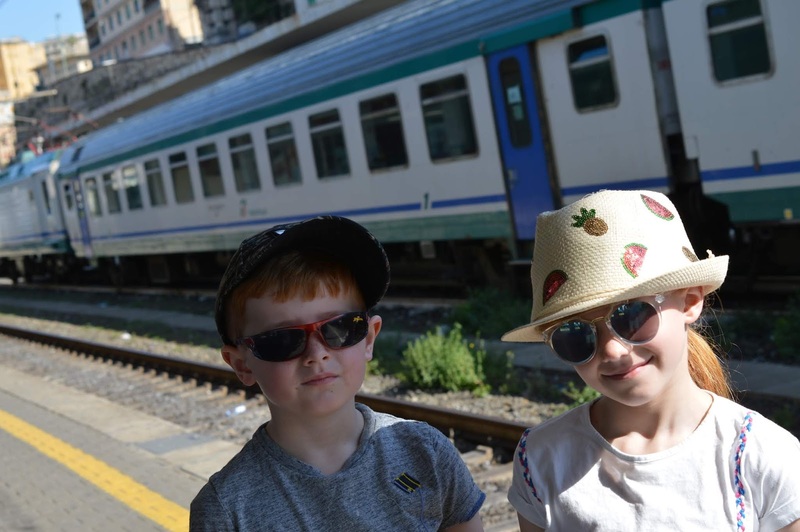 Nervi is very easy to reach from the centre via train and our carriage was packed with locals and their beach bags heading out for some Italian sunshine. 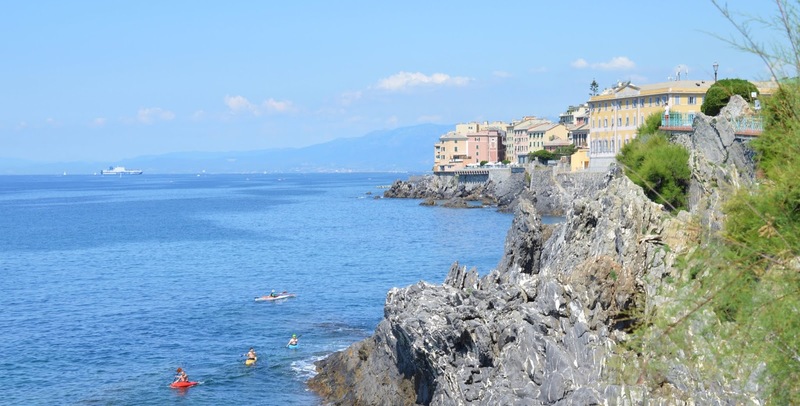 Nervi is a beautiful old harbour village with sandy coves and a rugged coastline lined with restaurants and lidos. 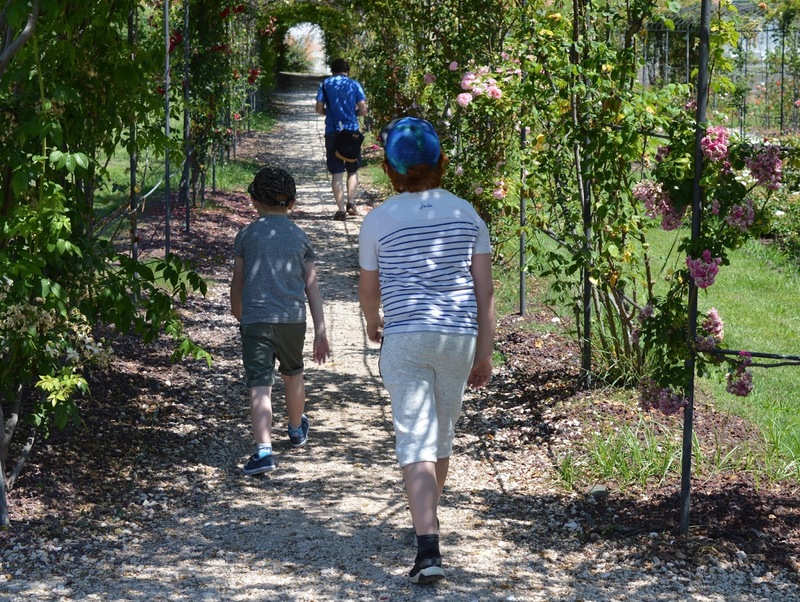 The coastal path is flat and safe and ideal for children and pushchairs and the views here have been voted as some of the best in Italy. My pictures do not do this little village justice and they have to be seen to be believed. After your morning walk. 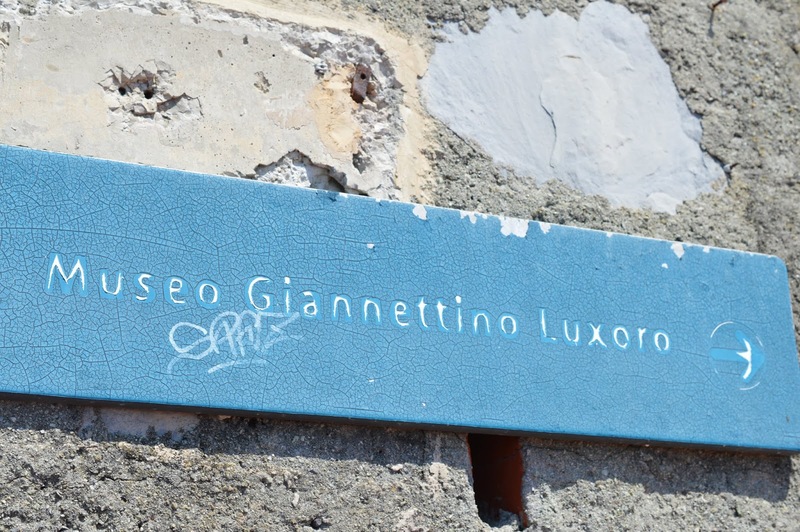 You can grab a few bits and bobs to eat from one of the shops or cafes lining the route and I'd highly recommend heading through the archway by the sign for the Museo Giannettino Luxuro and exploring the Parchi di Nervi. 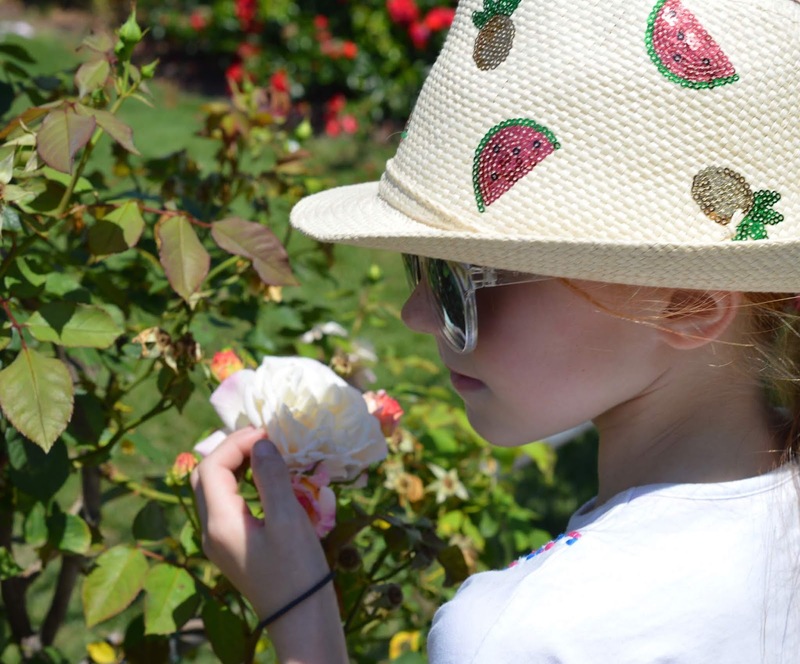 Here you'll find award-winning rose gardens, beautifully landscaped grounds, a fabulous playground and shaded areas and seating in which to enjoy your picnic. It's the perfect tonic to city life. As the afternoon sunshine reaches its peak, it's time to head indoors. 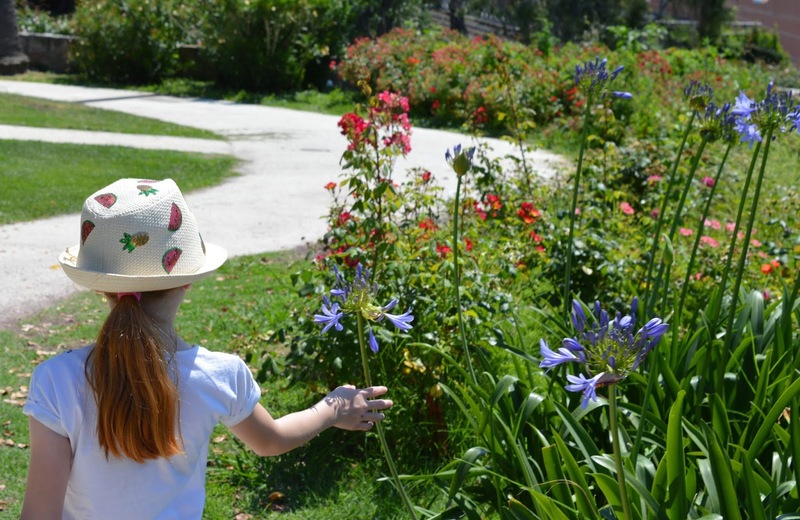 The park grounds are home to a couple of museums and galleries which are definitely worth popping into. The staff are all super welcoming and we really enjoyed learning about traditional photography techniques that are in display in the museums. We even had the chance to try this ourselves. 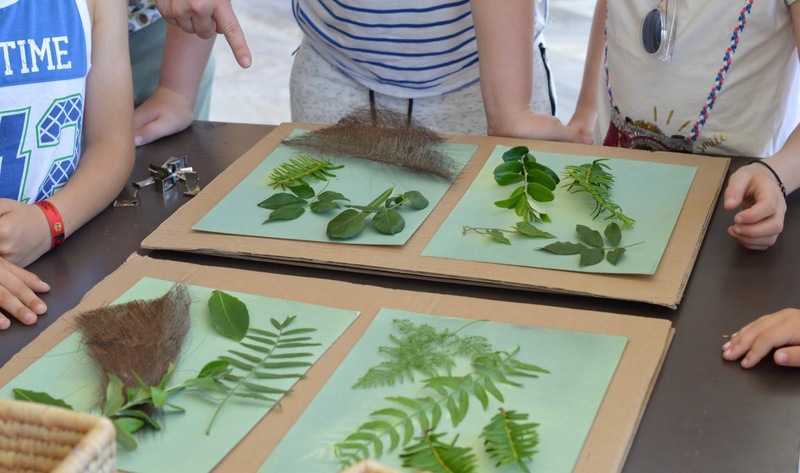 What do you think of our creations? Walking, parks, museums and art are all thirsty work. In the afternoon it's worth walking back along the prom and finding somewhere to relax. 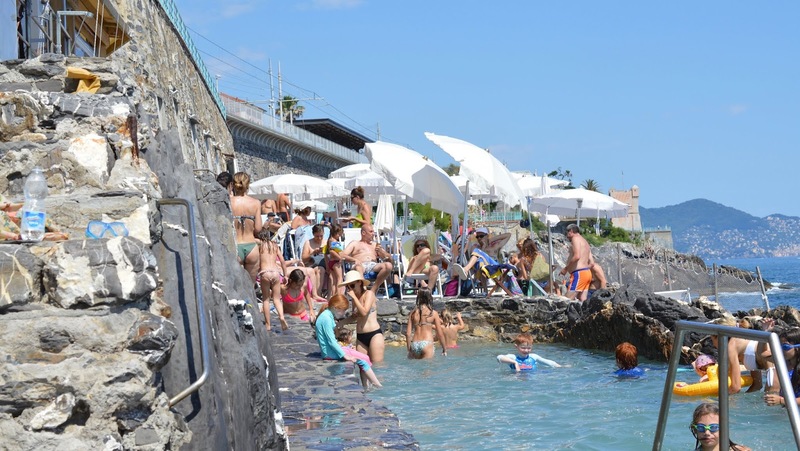 There's the chance to paddle in rock pools around some of the restaurants and bars or hire canoes and head out to sea. 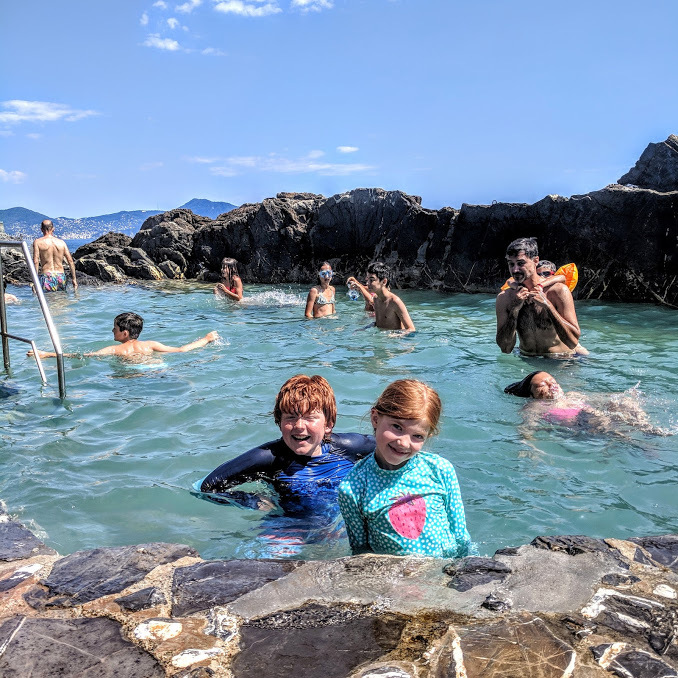 We decided to spend a few hours at Bagni Medusa which is a bar/restaurant right by the sea with a natural Lido pool for kids to play in (with lifeguard), changing facilities, loungers, chairs and direct access to the sea. Harry, Heidi and Jack really loved it here and I can highly recommend trying the anchovies (not something I'd normally choose but I was pleasantly surprised) with a nice cold glass of wine as you watch the kids play. Perfect! Trains back to the centre of Genoa run every 30 minutes or so. 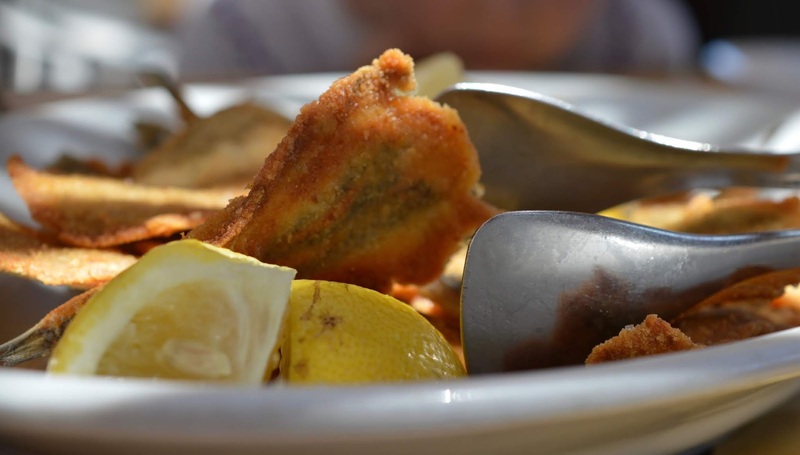 You'll probably be super tired on your second evening after a day in the sunshine so I'd recommend staying local and low key for dinner and maybe taking an evening walk to the fountains where locals often play music and dance. 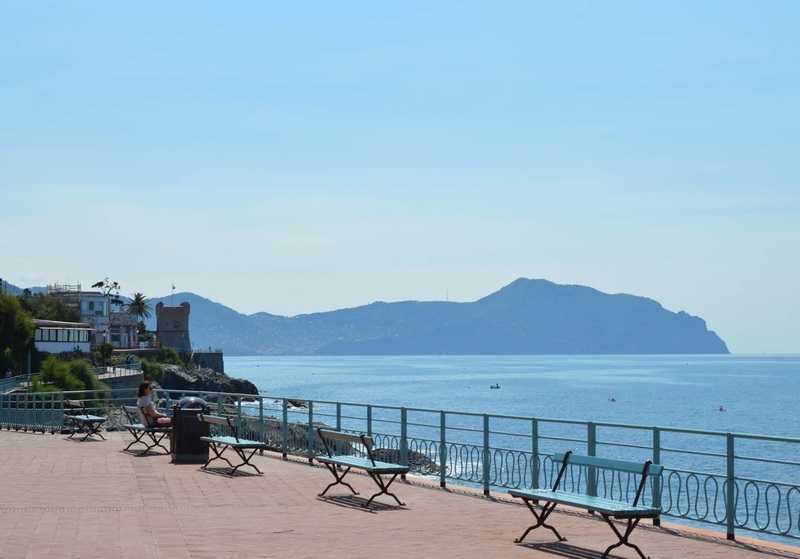 It's the perfect location to enjoy one last Gelato or an al fresco glass of wine in one of the nearby bars. 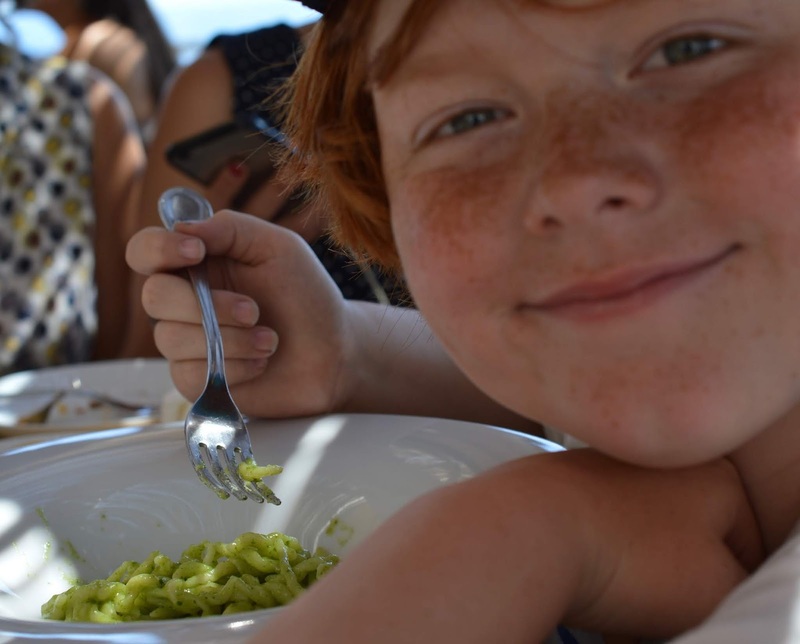 Italians dine later than us Brits and dinner takes a lot longer than what I'm used to - when dining with kids, I'm very much an in and out kind of girl but this just doesn't happen in Genoa. Evenings start at around 7:30pm and meals can last a good few hours. 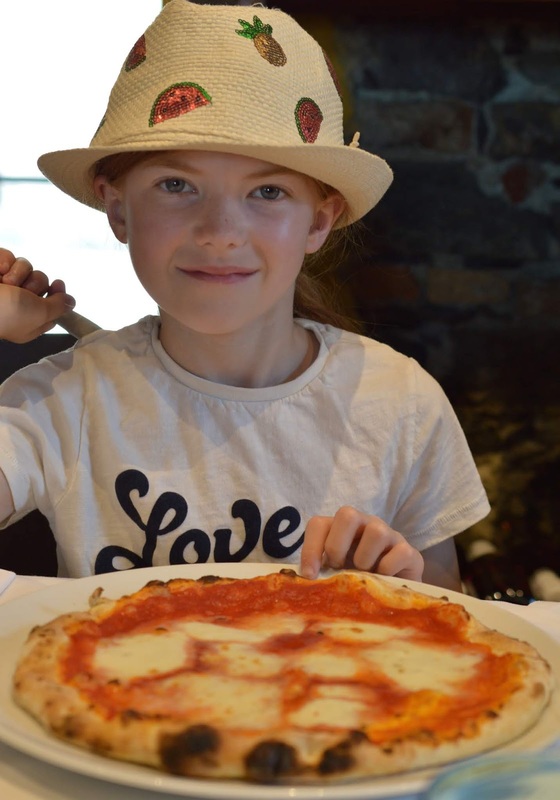 All of the places we visited did not have a children's menu but were happy to offer tomato/pesto/cheese pasta, pizzas or smaller portions from the main menu. 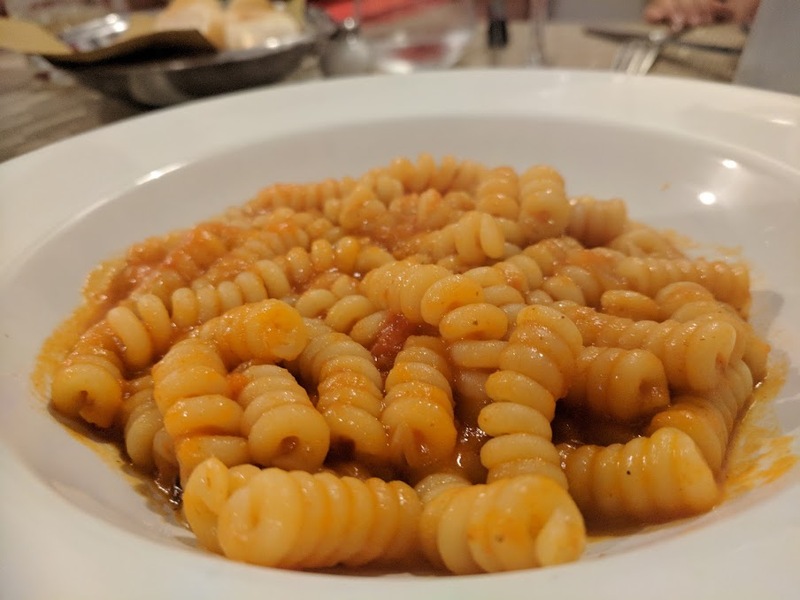 I'd definitely recommend trying some kind of pesto dish (pesto is said to have been invented in Genoa) as well as Genoa's signature chickpea and cheese bread which seems to be available everywhere. 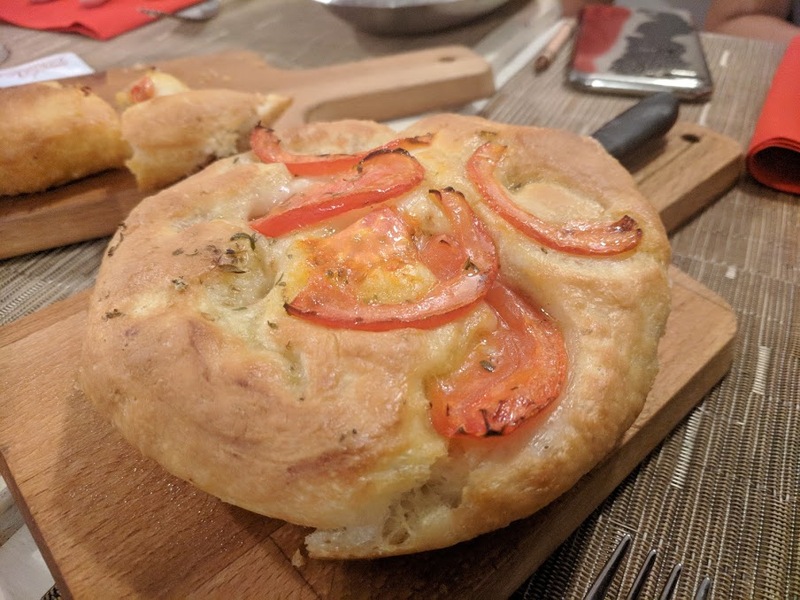 I also highly recommend ordering the speciality Foccacia from Le Rune - made with olive oil it was like nothing I've ever tasted and I can see why so many people sing the praises of this restaurant. Harry, Heidi and Jack tried their hand at ordering in Italian (super cute) and everywhere we visited also had English menus available as standard. 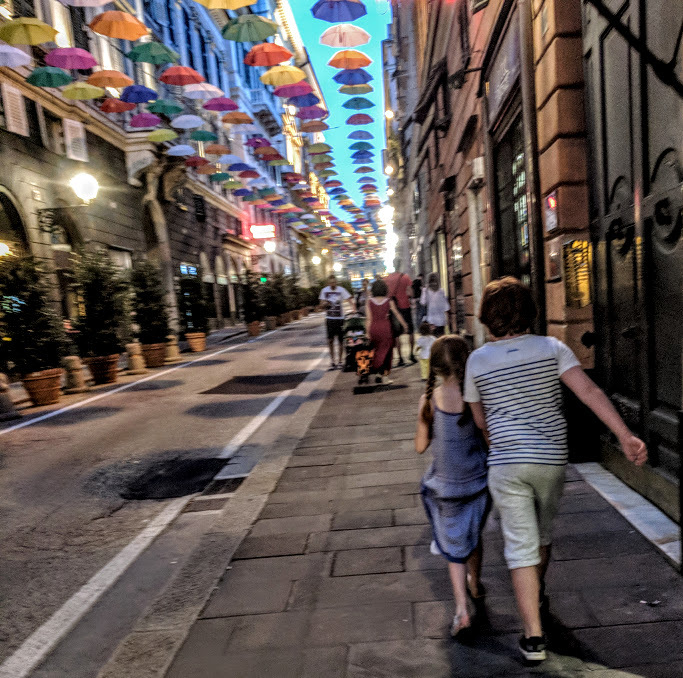 Another difference about the restaurants in Italy is that there seemed to be a very small selection of soft drinks available - my children are happy with water but if yours aren't, I'd recommend packing one of those tiny bottles of juice cordial you can buy. There are drinking water fountains around the city so packing a water bottle is also a good idea. I felt very safe walking around the streets at around 10pm with the kids and didn't have any concerns re:safety. Obviously still be on your guard as you are in a city but as a single woman, I felt absolutely fine. On the whole, food prices seemed very reasonable too. I ordered fillet steak from one of the top-rated restaurants in the city and it was only 20 euro. Pizza and Pasta dishes are around 12 euros in the central restaurants. 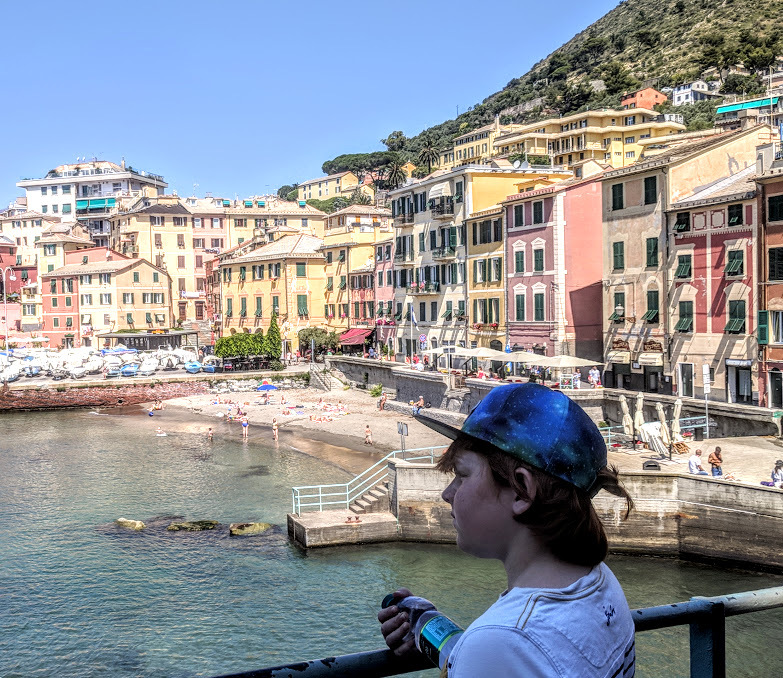 If you're looking for an Italian break with stunning scenery, good food, gorgeous architecture, easy-to-use transport, friendly people plus an abundance of things to do for kids, I really could not recommend Genoa enough. 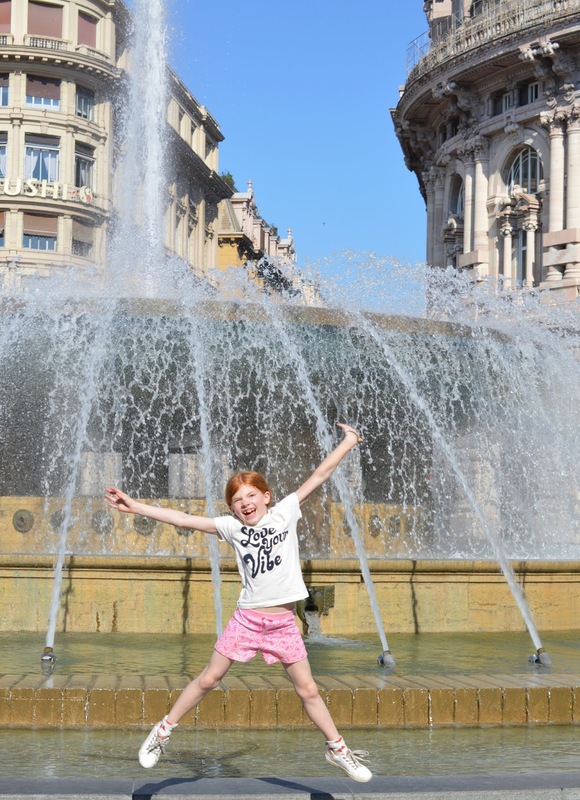 We were pleasantly surprised and I really did not expect an Italian city break to be this relaxed and fun for all. To find out more about Genoa, check out the official Visit Genoa website and check out the hashtags #Genova4Family and #GenovaMoreThanThis across Social Media. 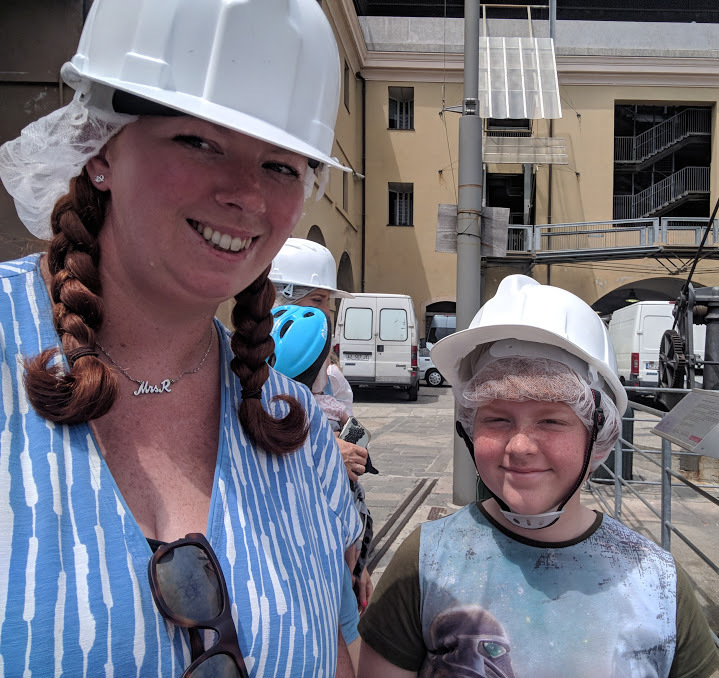 I've linked this post to Mummy Travels and Wandermum #CityTripping - a fab place to find inspiration for your next city break. 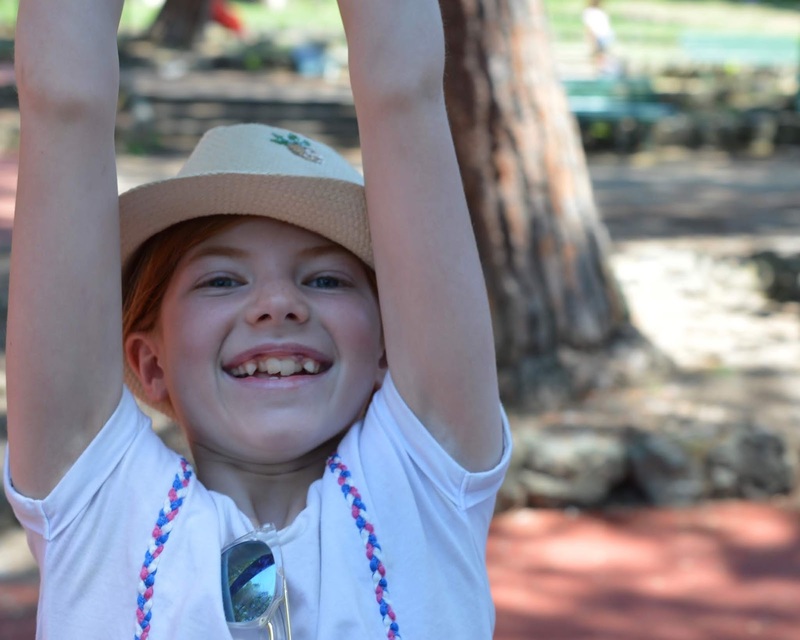 Sam the photos and your description really make me want to visit, I wonder if we can get a flight over from Spain in the summer break what and adventure that would be for the kids! 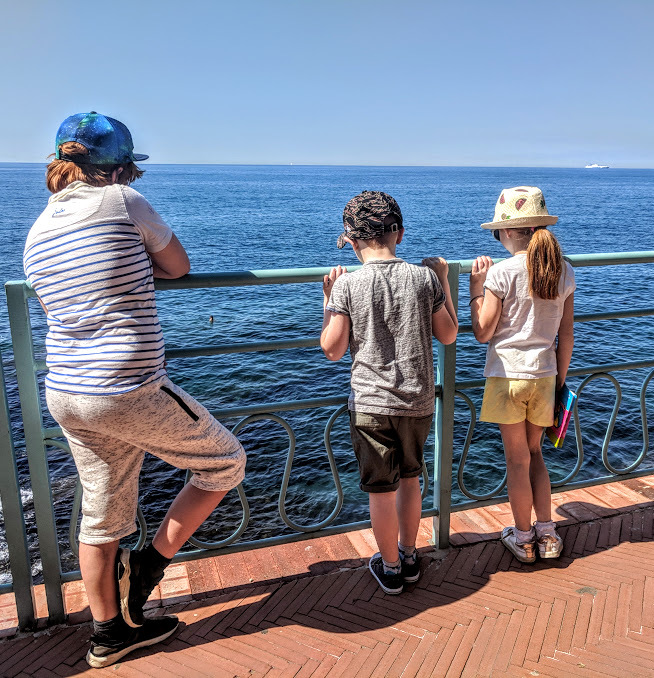 I wouldn't immediately have thought of Genoa as a short break but this is perfect- loads to do, my daughter would adore the aquarium and the swimming, plus our favourite food and chances to sit in the sun with wine for me. I definirely fancy designing my own fish, learning to sail and the anchovies too! 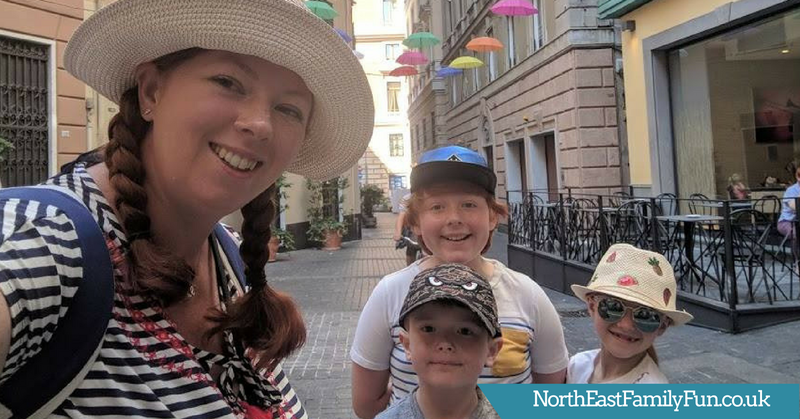 What a brilliant destination for a family city break. I love the look of all the activities - especially sipping a glass of wine while the kids play in the natural lido! ;) Your post and photos have got me looking at flights for Genoa. Oh gosh it looks beautiful! You certainly packed a lot in. We're heading to the Italian lakes this summer and I'm even more excited about it now. I want to do a solo trip with my girls at some point - I think maybe Italy could be the perfect destination. Your trip looks and sounds amazing, Sam. I really enjoyed following it. How interesting that the interconnecting flight went so well - I'd never have considered going for that unless I had to. I reckon you need to go back, to try out that spa! 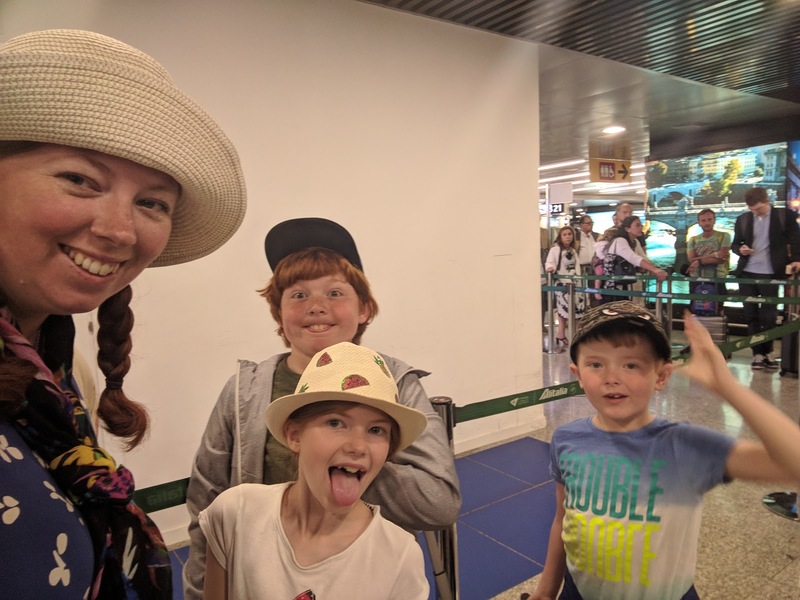 Well done mumma on your first solo trip with the kids! I'm yet to take on that challenge - so hats off to you. 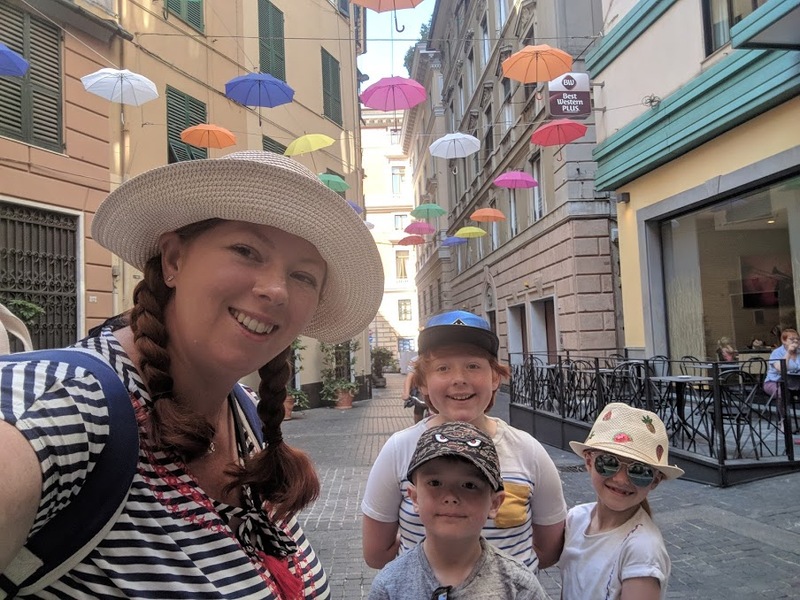 And I need to get to Genoa now - what a fantastic place for families - I'd never thought of it as a weekend destination before reading this post. I really enjoyed reading this Sam. 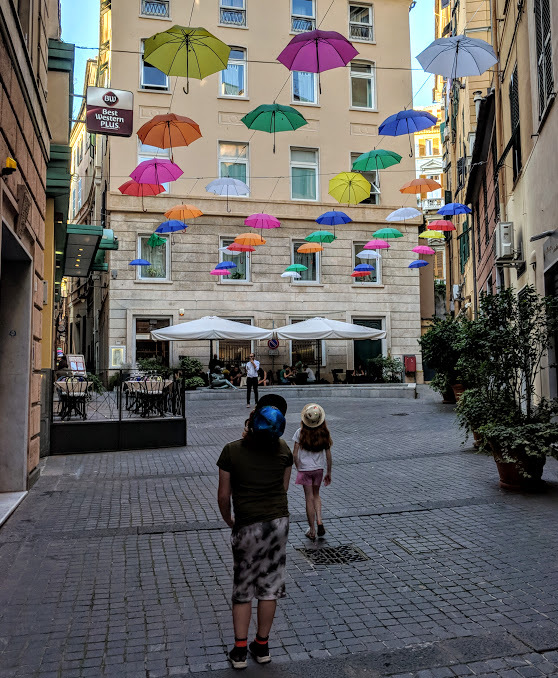 I love everywhere in Italy, but haven't spent any time in Genoa, so it's really interesting to read about what it's like there.